Adam Brubaker is a naturalist and photographer in the Greater Yellowstone Ecosystem. 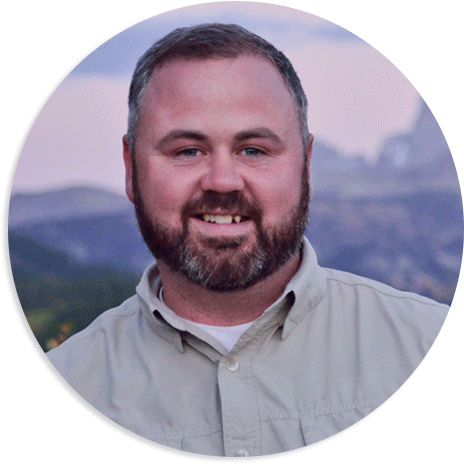 He has a degree in Recreation Management from BYU-Idaho with emphases in Communications and Natural Resources. He is a Certified Interpretive Guide through the National Association of Interpretation and a Certified Naturalist Guide for Yellowstone, through the Yellowstone Association. Adam loves living and working in the Greater Yellowstone Ecosystem. He has stories from his childhood of searching for grizzly bears and wolves on his many excursions to Yellowstone with his brothers. In 2011, he helped organize and start a local chapter of the National Audubon Society. During this time he has fallen in love with birds and can become quite distracted by them. Adam works as a naturalist guide in Yellowstone and has a great respect and love for the Greater Yellowstone Ecosystem. Adam resides in Island Park, Idaho with his wife and four sons. Tied To Nature is an authorized permittee of Yellowstone and Grand Teton National Parks.